I've got a lot on my mind at the moment. Family stuff, moving house (furniture today, me next week), courses starting, appointments, kid trouble, leaving my husband for months - it's all piling up a bit. It's killed my writing habit stone dead. I now only manage a few hundred words of vapid cliches and then run out of plot. I have no incentive, no motivation. I thought at first it was the lack of deadlines - give me a TMA date and I'm usually fine but it's more than that. It seems as if stress cuts out the creativity as well as the motivation. So, I'm going back to the blue book, from A363, to try and wrangle a bit of imagination. Moving has been intensely emotional, too. In theory, I could be writing loads of useful stuff in my notebook about moving, lots of free writes or other raw material like poetry to use later. The pages remain pristine. Note to self, get off your arse, stop moaning and get on with writing anything. In the past, that's the only thing that has worked for writers' block. My workload this year, plus my kids and living in two places is going to generate a lot of stress and I can't let that slow me down. I estimate I have to write 100-120 thousand good words in the next 12 months - I've managed about a thousand in the last week. Back to the laptop. My husband and I listen to music completely differently. I just wander away into it, no real thoughts, just feelings. I like music when it's familiar, I've heard it a couple of times. He listens to it, for want of a better cliche, with his head, admiring how it was written, performed, the technological efforts that produced it. He loves new music. He also loves radio plays, just sits there and enjoys them (or occasionally doesn't) depending on the subject and the play itself. I don't seem to be able to listen and engage my brain at the same time (oh, this explains a lot of my school experiences!). On the other hand, he looks at text and gets slowly bored. He likes short sections of text, possibly autobiographies, preferably the shortest writing for the maximum information. Reading bores him, listening is easier for him. I hate course CD's and download the transcripts. I like long books, big stories, and get immersed in them. When I'm writing, I 'hear' my characters' dialogue very distinctly. I see the locations (though my characters are a bit iffy, I describe them when I remember from actors' bios and pictures). The words, as read visually, have music for me, they build up lovely sequences of sounds and meaning. Reading them aloud makes them sound stilted and slow to me. Yet my radio play efforts sound clear in my head at the speed at which I can type them. It's only when I come to read them that they look odd. One of the advantages of A215 is that I can look globally at my writing and judge whether it's good or not (at least, when I don't have a deadline looming). And, bizarrely, the radio plays are good. It makes you think about realistic dialogue, expressing more of the story in less cues. It's a very helpful exercise. Defining not only who the character is without any visual cues or internal thoughts, but also their emotions and ideas entirely in speech or sounds is a fascinating exercise.The BBC encourages people to submit scripts, even if they are the wrong length etc. and are willing to allow a bit of devlopment of a promising radio writer, by the sound of it. It's all taking my mind off the move in a couple of weeks time, anyway! What exactly do you need to go away for a year? But still leaving stuff at home because you have to come home for Christmas and Easter. If I pack all my favourite books I feel like I'm leaving for good. So I'm just packing all the literary masterpieces I have bought in the last six months but haven't really read. I also seemed to have accumulated dozens of books on writing. I must just write a list. I go around thinking 'Oh, I must remember that...' and the list is growing. It's easier to focus on what the kids need, to be honest. But if I'm going to feel at home there (very important) and be able to relax enough to work, I must remember the desk and the computer chair, and cutlery is OK but without plates... I swerve between 'It's going to be exciting' and 'Oh, help, what the hell am I doing?'. I have started chapter seven of A363 which is about radio plays. Now, I can't stand radio. I can't even listen to story tapes. I don't mind music of course, but I read fast, and anything going slower than my normal reading speed loses my interest. Strangely, I think this might be the dramatic medium that suits me best of the three on the course.The exercises get you looking at two short stories: A Real Durwan and Violin lessons, and frankly, I can't stand either of them having looked at them so much. I'm cheating and using my own short stories to write plays etc. from. 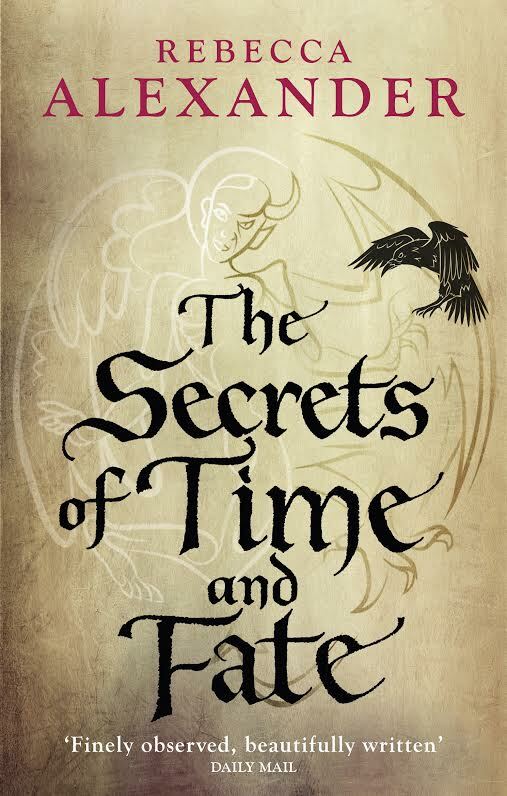 Besides, that helps with the whole TMA thing, as one at least has to be a radio/stage/screen play. We had to look at Rose Tremain's play, Temporary Shelter, which seems pretty straightforward. The problem is, the radio plays I have recently read off the BBC website are nothing like this sensible, structured, 'here are all the characters in this setting and here's what happens next'. So I had a go at activity 7.2 (Write a scene or two which establishes a holiday destination known to you (up to 700 words) and before I knew what was happening, I was pushing one of my charcaters off a cliff. I'm meandering over the poetry chapter too - it's essentially a free standing unit. In fact, it would work quite well as a last chapter of the Big Red Book poetry section. I decided to have a go at a sestina - but have decided it is ridiculously difficult to keep interest in 6 words repeating over 36 lines. The poetry TMA is 80-100 lines, and most of my poems are well under 20 lines. they have to be in sonnets or in sestinas, villanelles or pantoums. (I love that the spellcheck reads these as 'villainies and phantoms'). I watched an interview with David Almond and how he wrote Skellig. He had one line, sat down and let the story write itself. He was astonished as the readers to find the tramp in the shed has wings... when I'm writing well, that's what I do, just follow the characters (not as successfully as Almond, clearly!). The problem is, planning and trying to write more 'literary' work stops that flow, makes me self conscious and question. 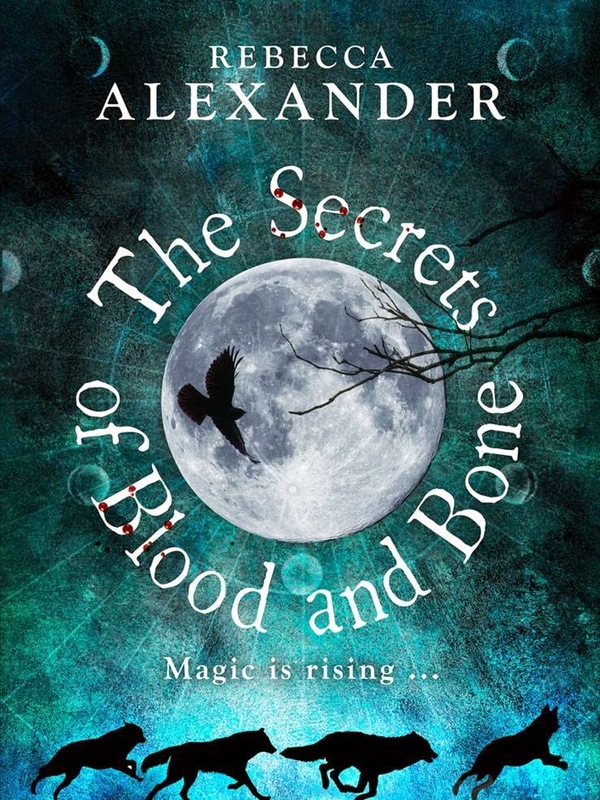 I've set myself the task of reading all Almond's other books, see where that first book flow took him. I have to confess, I write enthusiastically while not really knowing, in literary or theoretical terms, what I am doing. 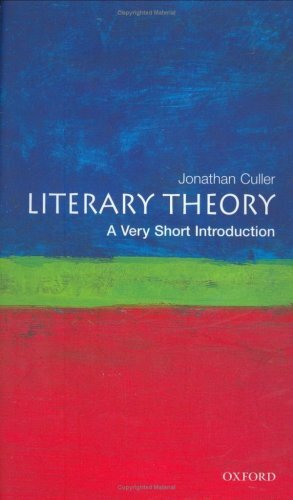 I know very little (other than snippets I have culled from magazines and The Book Show) about literary theory. Now I am off to do Creative Writing with people, some or most of which, will have a BA in Literature or some related subject. I sit here with my BSc and beyond, all in science. Writing is something, that for a very long time, I just did. So I didn't get any better or worse, or, maybe I did, but I didn't know about it. It was just more (or less) satisfying for me. But, like most people, I have been writing, consciously or otherwise, for an audience so there is an implied value - that I can write well or badly from their point of view. I decided it was time to at least have a look at literary theory, if only so I know the difference between 'good' and 'not-good' literature, although the scientist in me disagrees with idea that something can be objectively good without a whole social context. 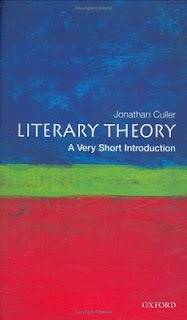 I bought a slim volume called Literary Theory, A Very Small Introduction by Jonathan Culler. It's 120 tiny pages of explaining the major ideas and thoughts behind literature. Chapter 1 poses the question: What is theory? Then just when you think you know, it points out that even the word theory is full of complexity. It's a set of speculations and hypotheses that challenge the simple, commonsense assumptions that have been shaped by convention, society, history. It suggests that talking and writing about something changes it, forms a new construct of it. Theory is not tied to a single area, it is naturally interdisciplinary; it is speculative in that it tries to understand something; it challenges assumptions; and it reflects on thinking itself, on the meaning of theory. My brain aches. 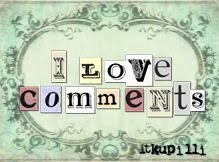 But I do, with a bit of banging my head on the table, understand what he is saying. Chapter 2 is What is Literature and Does it Matter? After a fascinating journey through the idea of what literature is, what qualities it possesses to make it literature, it comes to the conclusion that we write from what we already know, from what is conventionally acceptable (otherwise no-one could read it) but then can go further, break new ground. Not bad for two days reading. An excellent £5.88 worth of helpful hints into a huge topic. Of course, having read chapters 1 and 2, I have liberally coloured them in and made notes in the margins. Ever since I started with the OU in 1994 I have used a highlighter pen as I read textbooks. Recently I have had people acting very disapproving as if I was doodling in library books or something. I even had a fellow student say: 'Oh, what a shame, now you won't be able to pass them on.' Why would I pass them on anyway? If they are that useful that I want to study them in detail, chances are I want the best bits highlighted. One helpful side effect is that they slow down my reading and make me take on the meaning in more detail, rather than skipping through it rather superficially. I read very fast and a consequence is that I don't give that much attention to it unless I am highlighting the best bits, colouring the cartoons, doodling and putting notes all over it. I'm always interested in how other people study, I've picked up all sort of helpful tips over the years, but the highlighter is definitely staying. A363 is a funny course (weird not ha ha) in that its major pieces of work are very unevenly marked. TMA03, for example, only counts for 10% of the marks and TMA04 doesn't score at all but you have to pass it. No. 4 is an outline of your thinking and an outline of a larger piece of work that will be the ECA, and you get to send 1000 words off for TMA06. So, if you write a short story for TMA01 that gets dramatised for TMA02, and two assignments that link to the ECA, and TMA03 is a critique, then there are only three really original pieces of work in the whole course. A215, including the ECA, had at least 6. Since I have the beginning of a short story for the ECA I have effectively got no. 6 sorted. So I started on TMA04, assuming I am going to have no time when it's actually due because I will be on the MA. Unfortunately, planning is not my strong point. The closest A363 has come to it, for me, has been writing the scenario for drama and that makes perfect sense for some reason (p. 89 for fellow A363ers). Having mastered a simple scenario, I found that each sentence (or two) makes a scene with way too much back-story. That's OK, I can show that rather than tell it as I actually write it. I'm still waiting for a couple of recommended books from Amazon, but it has made me go back to an old favourite by James Scott Bell, Plot and Structure, and there is all the information In needed all along. It's as if you get what you can from a book when you read it, each time. I'm obviously ready to look at planning a bit more seriously. There is a three act structure to my short stories,mostly, even if I jiggle about with it. It's also making me analyse my own work a bit. (Oh, help). I imagine I'm being asked questions about it, maybe by one of the more literary members of the family. ('Yes, but what's it all about?') Half the time I'm not sure myself. But somehow, if someone asks you, you find meaning in it. I always tell the kids and Russell, if they are struggling with a new concept in their studies, explain it to me. Then go and write it down. Sophie makes notes on a whiteboard as if she's about to teach animal cognition or psychopathology and then she can write her essays. Russell explains it in the car, with copious references to rock music to explain the highlights of Wagner or Schubert or whatever he's studying. So, I think my ECA is about being true to oneself, even if we risk death doing it. It's also about growing old, and the fears and misconceptions that we hold about it. I'm surprised how many older relatives have said to me, 'Just make sure I don't end up in a home.' As if I will have a say, and they won't? As if I think my family and in-laws will fit in in a residential setting? I come from a long line of square pegs. I'm quite sure they will make their own quirky decisions up to the end. I can't imagine the chaos they would wreak if they were somehow tricked into staying for a few days in one of those places, anyway. It would be so embarrassing, to be called into the office to be told your mother or father-in-law has been expelled for starting a protest or organising a midnight feast. Overall, my story is about identity and autonomy. I'm starting to get the hang of this analysis thing. I passed - at distinction! Well, if I hadn't passed I would have wondered how I would cope with the big jump up to the MA! I got 91, which is brilliant. I wasn't sure about the life writing but the short story was fun to write and condensed down from 2,300 to 1250 words. I cut it further and sent it off to the Biscuit flash fiction competition. I feel better prepared now to tackle the MA as well as the level 3 course A363. I'm always aware that marking creative writing can be influenced by personal taste and hoped I didn't find a very prudish marker for my ECA! Getting in the way of all this creativity is just feeling blue about renting a horrid little house opposite a prison and leaving my cats (and children...and husband of course) behind. I can't imagine leaving this house behind, just when we've settled into it. The boys will be off at college and I will be spending a lot of time on my own - which I'm strangely, for a grown up, not used to. I had to buy a new bed and some bedding, and it feels like I'm going away for ever. Anyway, I'm off to celebrate my result with a slap up dinner somewhere - or, more likely, given the financial pressure of running two homes for nearly a year, sharing a bag of chips in the rain on the sea front. My daughter Sophie’s bought herself ‘Lady and the Tramp’ on DVD; she’s going to watch it as a reward for doing her revision. Twenty-two but somehow four years old, she will never miss an episode of Dr. Who but can go clubbing dressed as a policewoman with an eight inch skirt. She can sleep one night in a tangle of patchwork blanket and soft toys in her old room; and the next with her boyfriend Charlie, barely changing gear. I look at her, preparing to leave home for good, and wait for her to watch the film that I can’t forget. I have a picture of her on my bedroom wall, life jacket almost up to her nose and down to her knees, fist raised in triumph at her first solo sail around the harbour, aged nine. I can’t imagine her leaving for good. My husband Steve smells like fruit salads chews, which I loved as a kid; and hot plastic sheets. There’s a chemical scent too, from the oxygen streaming out from the sides of a plastic mask. His chest is exposed, where he’s pulled the hospital blankets off in an effort to get more air. Two weeks ago, he’d been singing to the baby in our bed, keeping me awake. We both noticed Steve had started to get out of breath. Now he is pallid, every procedure, even touch, paints purple blooms on his skin. Every puncture site oozes blood. Bags of blood and platelets hang overhead. I can see his heart pounding, beneath his ribs. ‘They…are…’ He fades again, gasping. ‘They’re looking at the results…they think they know what it is.’ His eyes roll back for a moment. In the last nine days, we have been on a rollercoaster of possible diagnoses. Tuberculosis, Lymphoma, Legionnaires’ disease, AIDS and back again. Please let it be TB. His hand is limp when I pick it up, but he manages to roll his head towards me. ‘I’m…I’m scared.’ He coughs, spraying the inside of the mask with a pink mist. Oh my God, that’s blood. He lifts the other hand to pull the mask away for a moment. ‘At least I’d…get a rest.’ He leans back, his hand feeling cool and lifeless in mine. We travel back on the dark motorway, my brother James driving, cat’s eyes glowing in a curve along the hard shoulder. The sound of the tyres and the engine fill the car. The heater is on full, but I am shaking, holding my coat around my shoulders. Cars approach us, lights caterpillaring towards us in convoys, broken by the odd gap and an occasional lorry. They act as if this is an ordinary evening in October, as if nothing has happened. ‘That nurse must have thought we were mad.’ James keeps his eyes on the road, his face occasionally spotlighted by a car behind us, reflecting off the mirrors. I don’t know what to say, lean my forehead against the glass, despite the cold inside. I feel as if something is holding the contents of my chest in a fist, squeezing from time to time, tightening into my throat. The clicks of the indicator fill the car, intermittent pools of yellow from the dashboard on his white uniform. He glances over at me, as we curve onto the A27. ‘I’m all right.’ My voice is a whisper as the fist crushes again, leaving me breathless. He steers the car into the cul-de-sac. Poplar Drive. It sounds so cheerful, so rural, but it’s in a concrete satellite town. Our front window glows through the curtains with intermittent colours from the television. I don’t want to do this. A bubble of something is rising again, like it did in the hospital. Perhaps this is hysteria. I fight it silently. James sits quietly too, his fingers on the steering wheel. Three years of training as a nurse haven’t prepared him any better than me. The ward sister had led us into the room, reverently, the intensive care unit full of beeps and chimes. She touched his forehead gently. I was incredulous, looking at Steve, bleached by the fluorescent lights. ‘He looks dead.’ It fell out of my mouth, and rang in my own ears. Then the laughter started, out loud. Steve would have got the joke. James looked at me, his mouth starting to curve, so he pursed his lips. I don’t know if she was distressed for me or Steve, but she kept saying it. James started laughing too, and reached for me, his arms tight. Finally, I realised she had gone, and James and I were alone with Steve. The spasms of laughter were painful, clawing at my chest, tears starting to pour down my face. My sister nods to me, her arms wrapped around herself. ‘She’s in the front room watching “Lady and the Tramp”’. Her new favourite. The living room is lit only by the television, the sound down so as not to disturb the other children. Sophie sits at one end of the sofa, feet covered by her patchwork ‘blankie’. She barely glances at me, her eyes glittering with the movement of the screen. The floor is scattered with the baby’s toys. As I pick them up, words form in my brain. She looks at me again, this time for longer. Her lips are tight, her chin stuck out. Hard words, rattling around the room. She stares at me, her face blank. Finally, she turns back to the screen, her face lit blue, then green, then purple as the scene changes, as cartoon chefs sing love songs and dogs eat spaghetti. Her voice is as hard as mine. ‘He never died before.’ Behind her, the baby’s vests and pyjamas are ranged along the radiator, the bottom shelf of the bookcase full of slanted and tumbled children’s books. ‘Well, he died now.’ I feel like I’m striking her, hurting her with the words. Her arms fold around her chest, tighten, as she puts her chin down and concentrates on the screen. Outside the room, I’m lost. The hall leads to our—my—bedroom. The door scrapes on the old carpet, a triangle of light falling on the empty bed. The book he was reading lies open, his freshly ironed shirts hang from the door of the wardrobe. She’s off to Charlie’s in a month’s time, for good, after her exams. Her room is full of boxes, and I don’t think I would stop her if I could. But it feels like I’m left in the harbour, watching as she puts up the wrong sail, on the wrong boat, and zigzags away.